What is a Winnebago VISTA? Vista, Winnebago RV: Winnebago® never compromises quality, which puts the affordable Class A Vista® right at the head of the class in value. 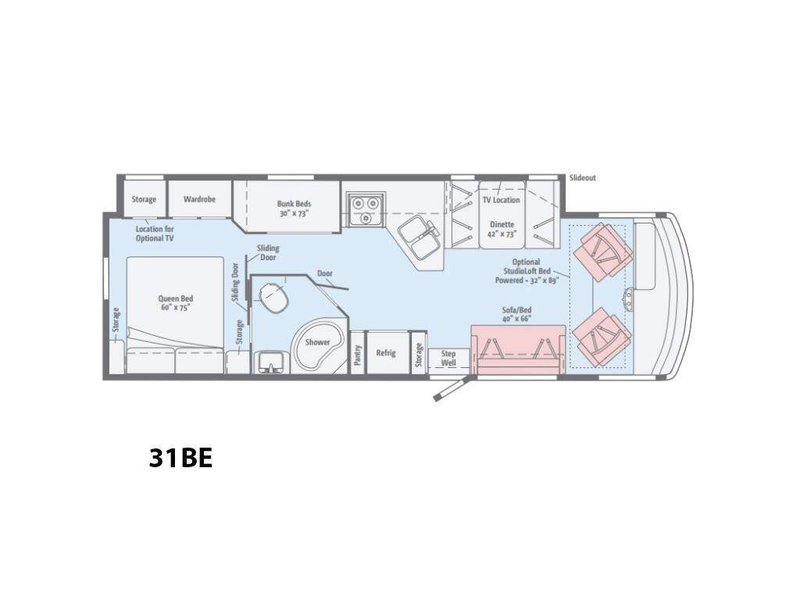 It scores high marks for floorplan variety that offers full-wall slideouts, bunk beds, U-shaped dinettes and more. The new 29VE brings a fresh twist to the lineup with a bonus exterior kitchen for those gorgeous summer nights in faraway places. You'll find an abundance of popular features, such as MCD roller shades, LED lighting and the available powered StudioLoft™ bed, all built to Winnebago's legendary quality standards. If you're ready for a Class A coach that is big on features and easy on the budget, the smart money is on the Winnebago Vista.